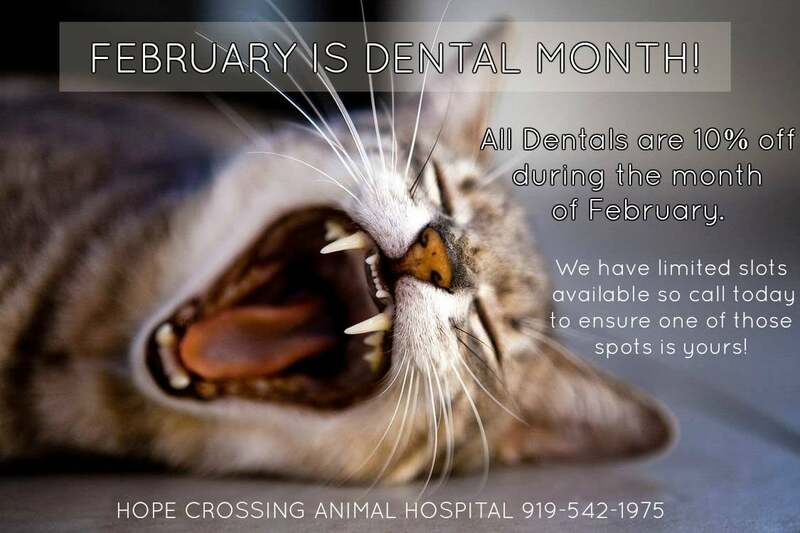 For the month of February we are celebrating Dental Month by offering a 10% discount on all dentals. This discount includes any preanesthetic bloodwork, dental X-rays, extractions (if any are needed), tooth polishing, pain medication and much more. Not sure if your furry one needs their teeth tended to? Make an appointment for a free exam of their teeth! We have limited slots available so make sure to jump on this great offer. Your pet will thank you with a fresh breathed kiss!